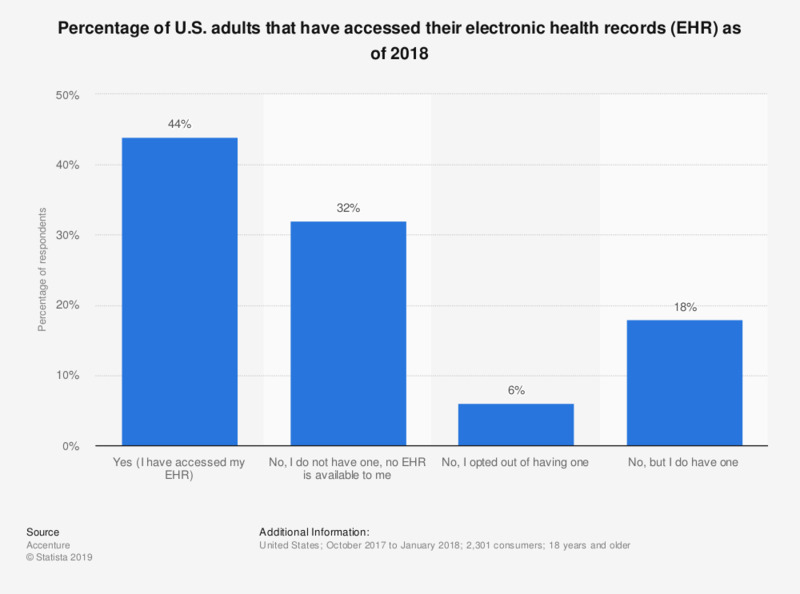 This statistic shows the percentage of U.S. adults aged 18 years and older that had accessed their health records or did not have one as of 2018. According to the survey results, 44 percent of respondents had accessed their electronic health records. Original question: "Have you ever accessed your electronic health record?"